Uploaded a new ESP file that adds a couple of Furnishings to the sanctuary. -Unique Dragon Priest Dagger with Fiery Souls enchantment. Temperable. 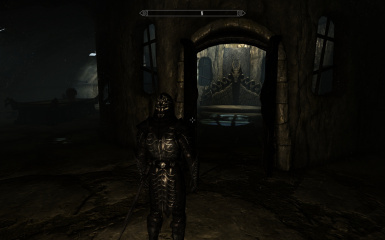 Edit: Forgot to mention that the Mask brings you back to the last place you put it on, not in the Labyrinthian. 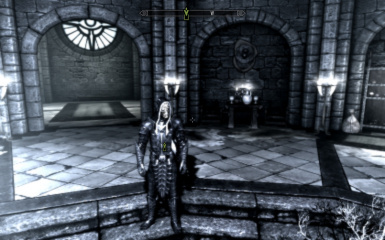 So if you put the Mask on, let's say in Dragonsreach, once you take it off you will teleport back in the same place in Dragonsreach. Rather than create another portable storage mod/house, I decided to just modify an existing one in the vanilla game to keep it lore-friendly. 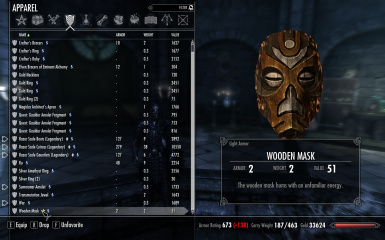 This mod alters the Wooden Masks ability, allowing the player to transport to the Sanctuary anywhere in the game. I changed the Sanctuary to a "noresetzone" like the player's other houses so it should be relatively safe to decorate and store your items. I also unbarred the door behind so you have now more space to walk around. Currently, there is a bug in the script that disables the Mask being put back in your inventory when you accidentally drop it in the Sanctuary. The player will still be teleported back, but the Mask will be lost to you forever. So don't do it. Before anyone asks, I'm using Psychosteve's Dragon Priest Mask Retex.